The Costume Shop has now opened! 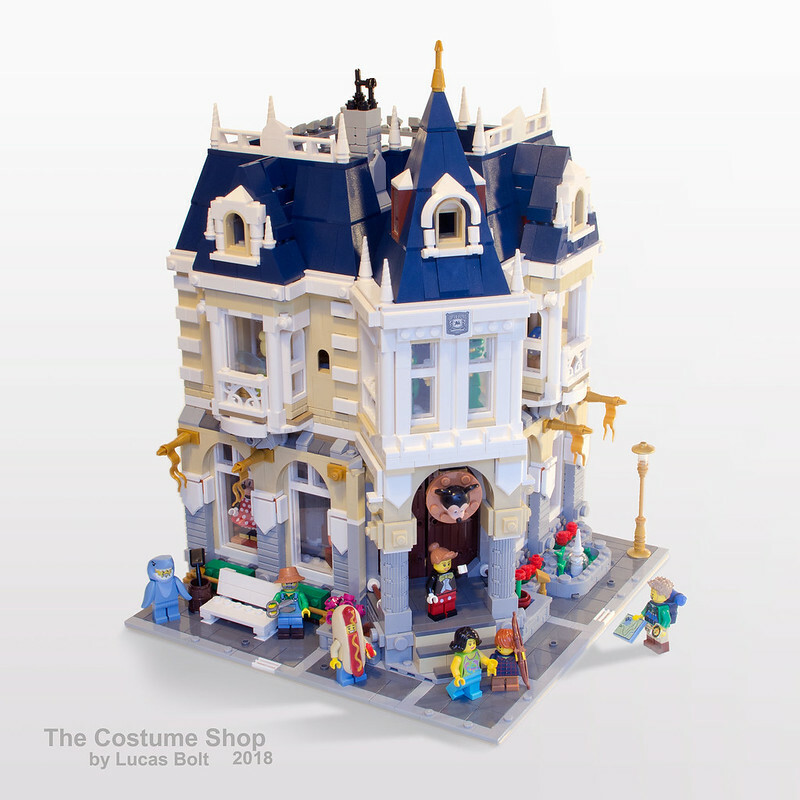 It's the perfect place to display your collectable minifigures within your modular street, and you can build it if you own set 71040, the Disney Castle plus a 25 extra parts! 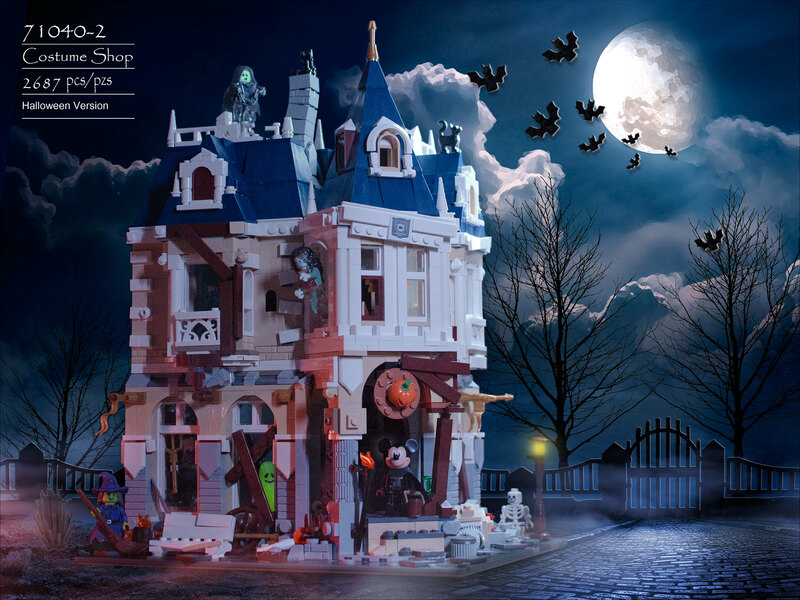 The Halloween version below was built using additional parts from the Disney Castle, and by only adding a few spooky minifigures. To build it the brown wardrobe on the first floor was disassembled for it's brown plates, to board up the windows. Please note: instructions for this Halloween modification are not included in the pdf, the pdf only has all the instructions for the original Costume Shop shown in the other images. Please look at my flickr page to see more images of this set. It features 2 floors of displays, outfits, accessories, decorations and a changing room. Built using 2687 pieces and some additional minifigures. A few minifigures are not included in the instructions, feel free to add your own! 12 window assemblies are available in set 850423: ''Minifigure Presentation Box''. €10.48 €14.97 -30% Have a coupon code?